Probably one of the best, and among the best-known, Phuket local dive sites is Shark Point. It is located not far from King Cruiser Wreck, east of the southern part of Phuket Island. The dive site is very large, and it is made up of three main pinnacles which come together. There is a small part of rock that breaks the surface, but nowhere to walk around. Leopard SharkUnsurprisingly, Shark Point got its name from the resident Leopard/Zebra Sharks (Stegostoma fasciatum) which can usually be seen on the sandy bottom. 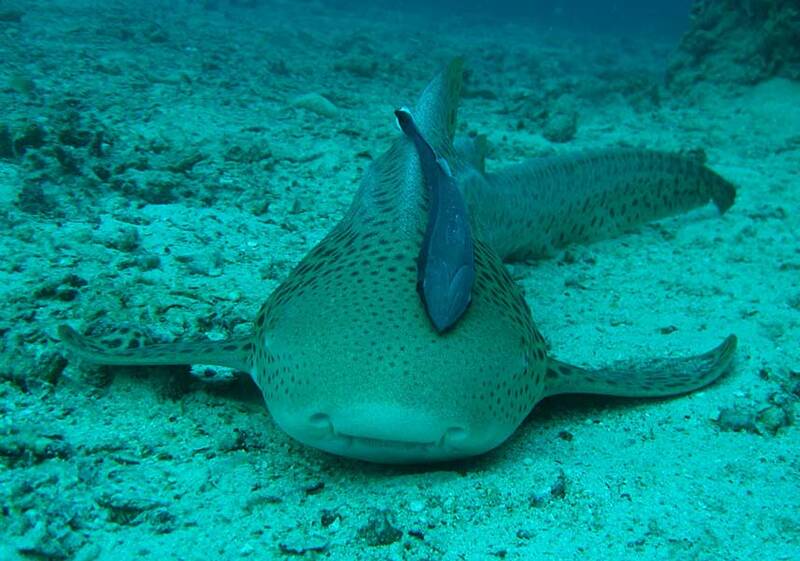 These sharks are both nocturnal and harmless, and are therefore great for divers of all levels to see. However, it’s not just about the sharks. There are plenty of other species, which include schooling fish and those which hang around on their own. For example Moray Eels (Gymnothorax javanicus) and many others. Most divers at Shark Point are there as part of a 2-dive or 3-dive scuba day trip from Phuket. These trips are very popular, but also busy and sometimes crowded both on board and underwater. 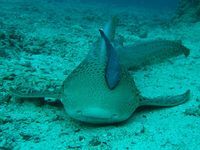 The best way to enjoy diving at Shark Point is to join a short liveaboard diving cruise from Phuket. Liveaboard diving at Shark Point enables divers to relax more on the boat between dives and to be at dive sites early in the morning and in the evening or at night. This usually means being the only boat there. Search website for Boats, Dive Sites & Dive Information. No Troubles Just Bubbles LTD.,PART. Copyright 2007 - 2018. All Rights Reserved.